Synopsis: On this week's podcast we talk to Andy Krueger, co-founder of two of the Twin Cities most beloved craft fairs - St. Paul's Craftstravaganza and Minneapolis' Craft'za. For nearly a decade, Andy's been busy assembling creative talent, curating a great collection of work year after year, and facilitating a lively place for creators to come together with an appreciative audience of art-lovers and consumers. 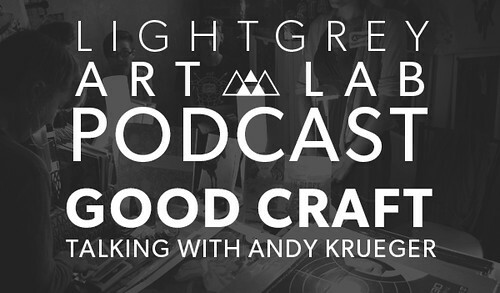 There's a strong parallel with what we do here at Light Grey Art Lab, so we wanted to sit down with Andy to chat about how he decided to become a creative facilitator, the choice of initiating over participating, and maintaining momentum and growing over the course of ten years. Also, right now Andy is currently taking applications for Craftstravaganza 2014, so follow the link to apply now!